Many of the apps I like are going to the Apple Watch - I love Wunderlist & Evernote, and I fully expect other apps to migrate over to an Apple Watch component. Let me be clear, I don't expect the apps to fully function as their analogous apps on a mobile device, and thats ok. What I am looking forward is something that can help me keep on task and easily accessible. So if you are similar to me, or if my reasons for wanting this product is similar, you may find the rest of this post beneficial. The 42mm and 38mm models. 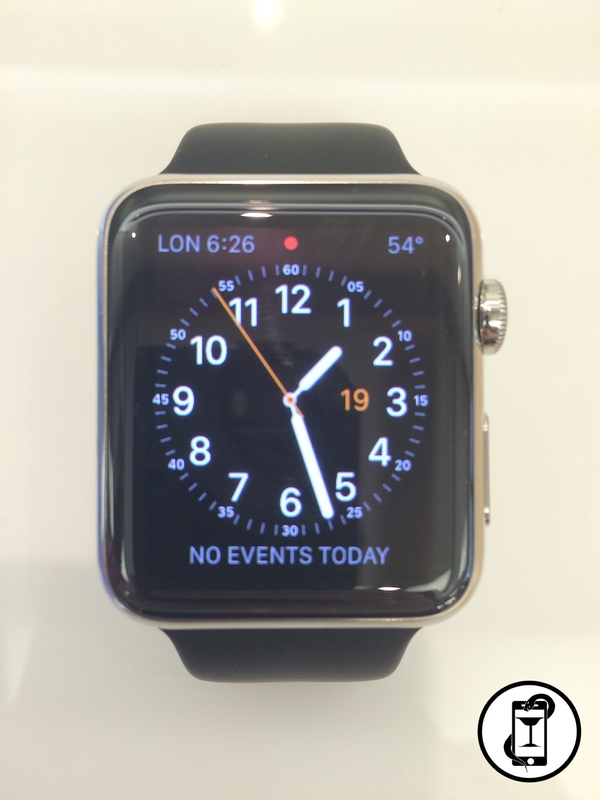 I tried on the 48mm Sport model with the longer strap. My wife tried on the 38mm version as well. My first initial thoughts was that it was relatively light, and seemed to fit quite well on my wrist. The strap was snug, and smooth, and also didn't rub as any form of irritation (which I was worried about). Now the question I am wondering if whether we are going to see any weird dermatological allergies that Fitbit seems to be plagued with recently, but Apple seems to be advising everyone they have 'sufficiently' tested it. The one thing that I wish I had done was wear a jacket or blazer, as the watch pops up decently high, and I wonder if the watch would ride up on the cuff of clothing. 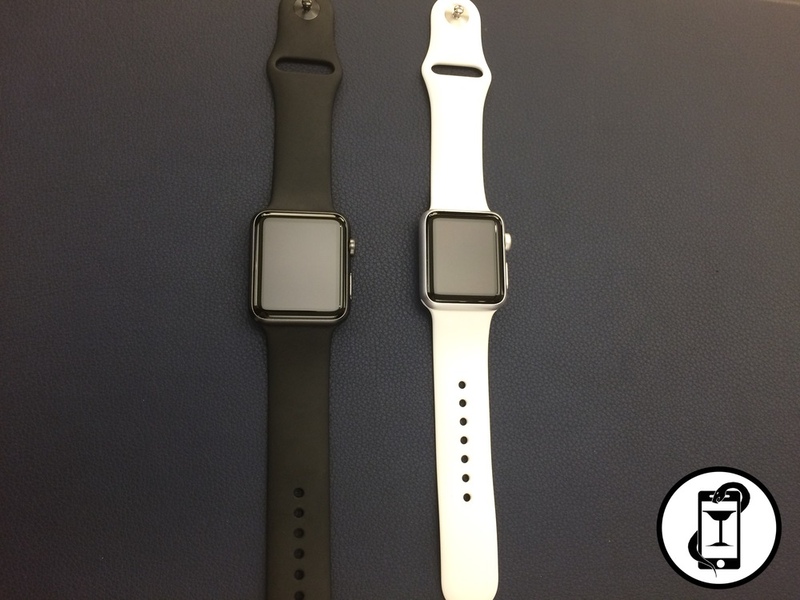 The Apple Watch 48mm Sport Version with default strap. The red string bracelet is from a Cambodian wedding tradition if you were curious. I really enjoyed the vibration feature on the device. I think that really stands out to me, as I really miss a lot of alerts and texts on my iPhone when it is in my pants pockets. I just don't seem to feel the vibrations. So this was a cool feature I liked. The screen colors are vibrant enough and clear (at least inside the store). I think the display is sufficient for what I want, though I bet similar to my phone, this thing is going to be of poor visibility on a bright sunny day outside. The display seems very easy to navigate overall, and responded well to touch and didn't seem to misread any of my inputs. The buttons and 'crown' also were easy to use and navigate, and I really don't see any big issues using the device daily. One large interest for me is the heart rate monitor, which Apple has recently really gone into depth explaining. This is something I really wish was a demo at the Apple Store, as I think I would have gotten more out of it. The watch faces available are neat, and I think will be fun to customize day-to-day for most users. However, I can see myself sitting in a meeting and idly changing the face every few minutes just to watch the time go by. The Apple associate that helped with the testing and answered a lot of my questions. Based on his answers, my understand is now that the Apple Watch will last approximately 18 hours, with several hours of battery life if actively used for a sufficient amount of time. When the watch reaches approximately 20% remaining battery life, it goes into standby mode, and really can only function as a watch. The associate could not answer whether data was still being actively tracked or if alerts would still come through. That is something I want to find out from other reviewers. The batter can be recharged to 80% with about 1-2 hours of charge time. 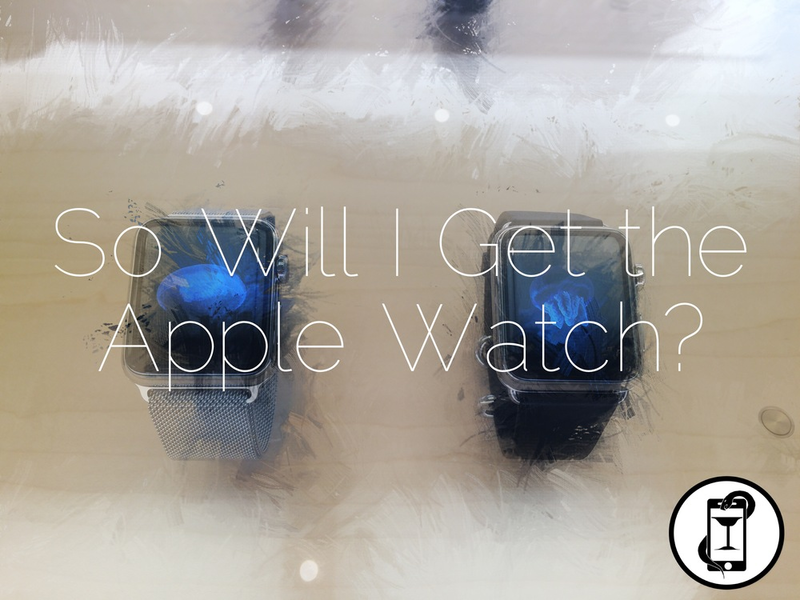 To sum this all up, Yeah, I think I will eventually get the Apple Watch. 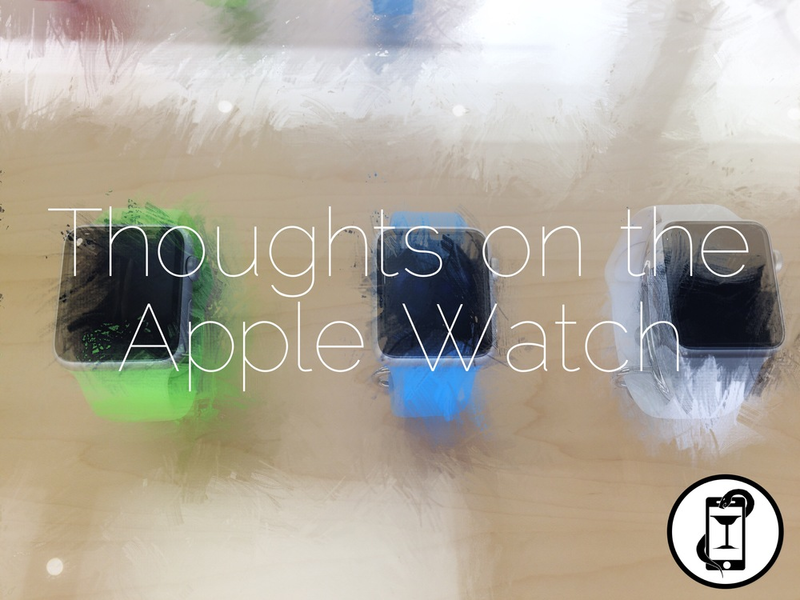 As stated earlier, most of primary reasons for wanting an Apple Watch seem to addressed with the device. I think the health function can also help me track my heart rate easier (which I care about due to postural tachycardia syndrome), and will keep me updated throughout the day. In all honesty, this is a device I see myself waking up, putting on, going to work and using, then probably keeping on when I get home for a bit, but then taking off and recharging overnight. I don't see this as a device I am going to wear all the time. I probably will use it for work, or select social activities when I can use the map when walking in the city or using some apps to manage dinners. But other than that, I will rely on my iPhone to be my workhorse for most daily activities unrelated to work. And I am fine with that. Is it Digital or Mobile Health?